The gallery's amazing collection of art is displayed in an innovative and imaginative way. An undoubted highlight is the outstanding collection of 19th century Pre-Raphaelite paintings including Dante Gabriel Rossetti's Astarte Syriaca and Autumn Leaves by John Everett Millais. There are also some wonderful works from the 18th century, including pictures by Thomas Gainsborough, Joshua Reynolds and George Stubbs. Alongside six centuries of British art are fine examples of Dutch and Italian paintings. The gallery has a new wing where 20th century British art is shown. 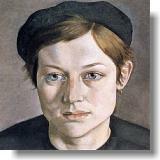 The art shown includes work by Francis Bacon, Bridget Riley and David Hockney. Henry Moore's fine early sculpture Mother and Child and Lucien Freud's Girl with Beret are also on display. 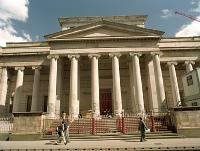 Manchester Art Gallery also owns an internationally renowned collection of decorative art including ceramics, metalwork, textiles and furniture. The collection is astonishingly diverse, ranging from ancient Greek pottery to contemporary furniture. On each floor are Special Interest Galleries which introduce the visitor to particular aspects of the collection, there is also a changing programme of special exhibitions which showcase the best in British and international art and design and includes historic and contemporary work. There's plenty for families to see and do on a visit to the gallery including the Clore Interactive Gallery, family backpacks, family audioguide, story playbags, family trails and the handling trail in the Gallery of Craft & Design. The gallery's varied programme of events includes hands-on family events. Guide and hearing dogs for the deaf welcome. In the heart of the city centre, easily accessible by all forms of transport.